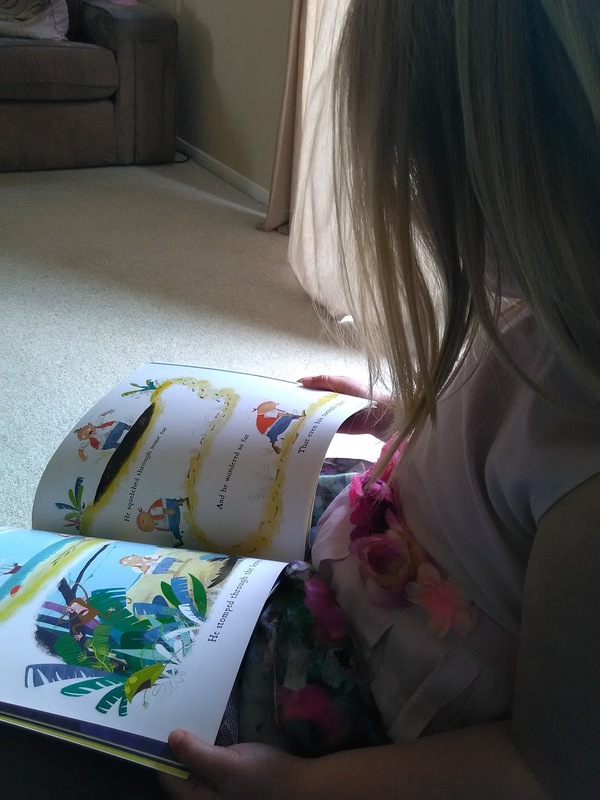 Holly loves rhyming stories at present - I think all her foundation work with phonics really helps her to recognise the art of rhyming words. Pirate Pete and his smelly feet is a fun and fast-paced rhyming picture book about a gang of pirates who've had enough of one of their shipmate's odorous feet and Holly thinks it is great fun. First Pete has to walk the plank. Then he wanders all alone through the wilderness but finally, his old crew need him back to help out - Pete's cheesy feet are quite good at warding off shoals of sharks. The story is written by Lucy Rowland and the illustrations are by Mark Chambers. The paperback book comes with a sheet of stinky stickers for you to use throughout the book; scratch the stickers to release a very cheesy whiff indeed. Holly and Lara both rushed to have a go before they'd even read the book! I really loved the rhymes in this book - it always makes it so much easier to read out loud to the girls when the rhyme just works naturally. I found the story fun and fast and I particularly liked the way that the illustrations worked with the text to suggest passing of time as Pete sinks into the ocean and when he is wandering over the island. The illustrations are bight and fun with lots of bright yellow whiffy, cheesiness and lots of piratey goodness to be found on ships, islands and oceans. Holly and I think it's a fabulous book that is lots and lots of fun. 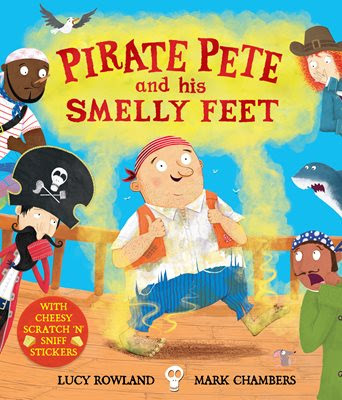 Pirate Pete and his Smelly Feet is published by Pan Macmillan children's books and costs around £6.99.